Last month came word that Apple, which has $100 billion cash in hand and last year gave its CEO a stock award worth $634 million, received a $35.5 million incentive package to expand its operations in Austin. Of that sum, $21 million was being provided by the Texas Enterprise Fund, which was created by Gov. 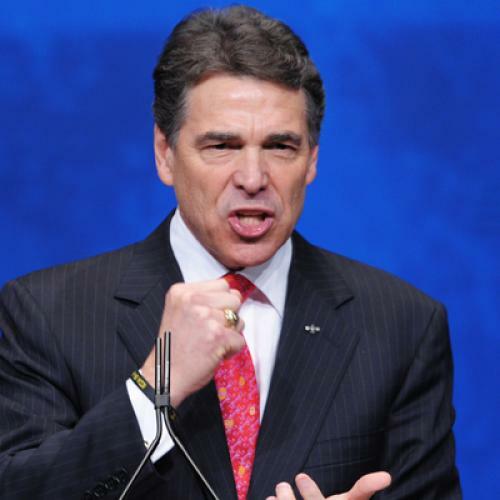 Rick Perry back in 2003 using money from the state’s rainy fund, and which has doled out more than $440 million to companies that promise to set up shop in Texas. The state is not alone in dangling cash in front of companies, but as I described in my profile of Rick Perry last September, few governors have played as fast and loose with their job funds as has Perry, who has parceled out millions to companies led or backed by his cronies, or companies that have immediately returned the favor with large contributions to his campaign chest. In Hutto, a district with 5,600 students and one high school, administrators cut $4 million from this school year’s budget, eliminating 68 positions and taking the unusual step of temporarily shutting one of its elementary schools. The school, Veterans’ Hill Elementary, will stay closed for two years to save the district $1 million annually, and its 500 students, including two of the superintendent’s children, were sent to other schools. The only way to transfer the students was to take another unusual step: all fifth graders were moved out of elementary schools and into middle schools. The district must trim an additional $1.2 million for next school year, and proposals include charging for bus service, canceling instructional field trips and eliminating music and art teachers in elementary schools. As fun as it may have been to watch Rick Perry’s flame-out on the national stage, reports like these from the second-largest state in the country are a reminder that Perry’s meltdown deprived us of a debate that we really need to have. After all, the Texas model is pretty much the Paul Ryan model come to life—low taxes, low services, pro-corporate, anti-union. We were all looking forward to Perry’s chance to defend this model, but aside from a few half-hearted mentions by Mitt Romney of Texas’ millions of uninsured residents (half-hearted because high numbers of uninsured are not a liability in today’s GOP), Perry barely had occasion to speak up for the model. Had he risen to the occasion to defeat Romney and seize the nomination, then the whole country could have considered the schoolchildren trudging two miles to school in the Texas heat. But instead, Perry evaporated on contact with the national spotlight, and so the kids of Hutto High School get to walk on, alone.